This forum is incredible and is viewed by many each day. I thought this would be the perfect place to share with you some of my favorite pairings so far this spring. First, I am a resident of California, but am allowed to keep up to a maximum of 30 captive-bred zonata because of my non-commercial permit. My wife also has the same permit so our household is allowed up to 60 captive-bred zonata at any time. I just wanted to quiet and comfort any legal questions this post might create. Because of a nasty heat spell my area experienced mid-February I was forced to bring my snakes out of hibernation a half-month early; therefore breeding is now in full swing when normally they'd still be only feeding. I've had the great fortune to work with zonata as my study species for my graduate work for a long while now, so I've really figured these suckers out. Lately I've been fortunate to have females lay average clutches of 7-8, and even two years ago having a female lay 20 total fertile eggs in a single season (13 in her first clutch, and seven in her second)! So far it looks like it'll be another fruitful year with large clutches. 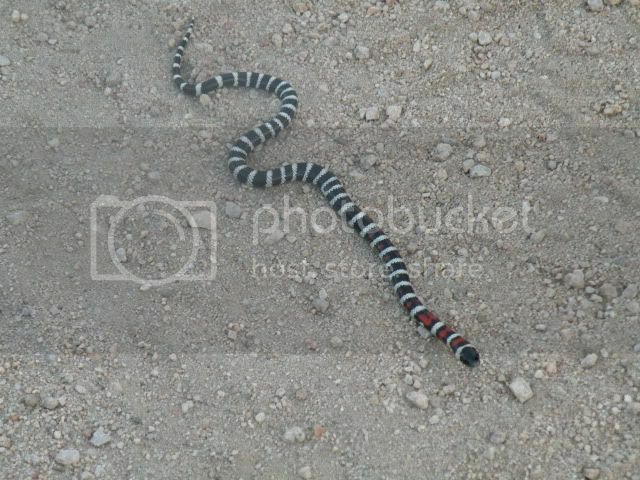 All the photos you'll be seeing will be adult breeding pairs, or single adult snakes that should breed this year. 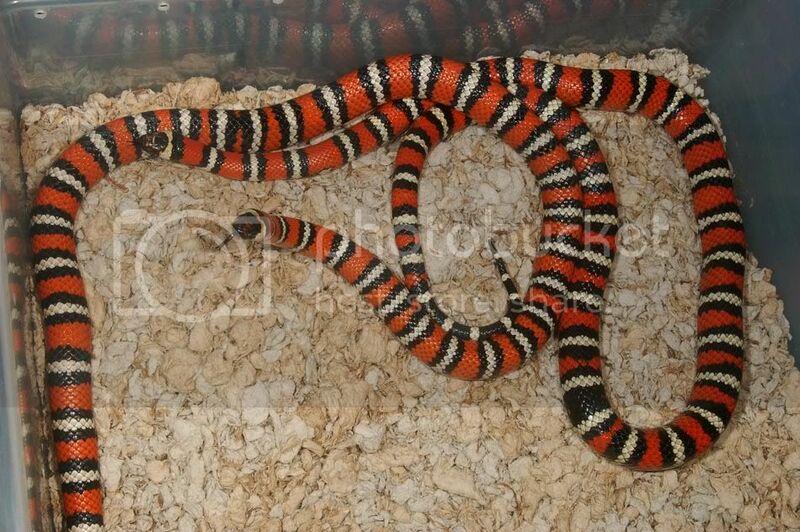 This first pair is my only reproductive pair of Diablo mountain kingsnakes. It'll be the first year either of them will have bred, so I'm hoping for good results. The female currently has eight eggs and is swollen like a ballon. This next pair is simply spectacular. 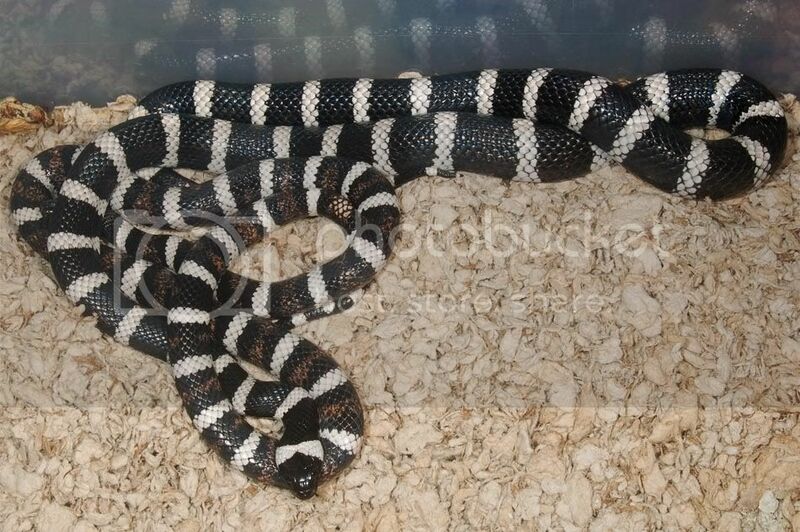 These are Sierra snakes that are genetically unique. The hatchlings start out tricolored, but instead of having red pigmentation, the red is replaced with a lavender-grey/pink color (males always have brighter pink and females the grey). As they mature the scales with the lavender-grey/pink pigmentation change to black. 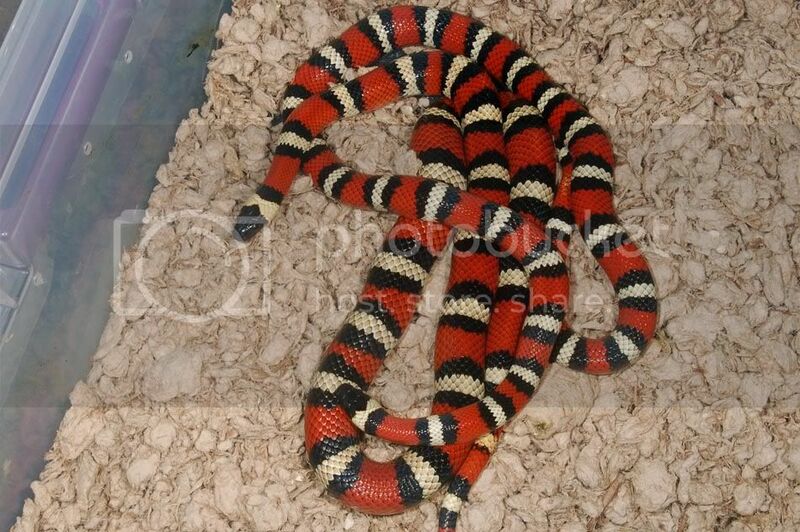 Females tend to become complete bicolored serpents, while males generally retain a bit of their juvenile tricolor pattern. 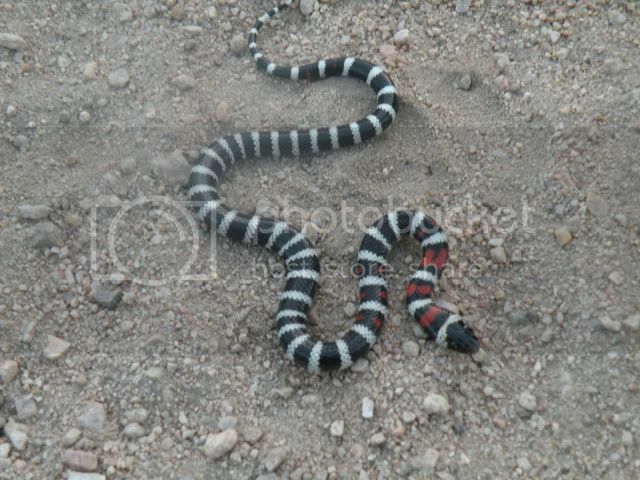 Either way this is a completely unique transformation that I dont' think occurs in any other Lampropeltis (both nigritus and gaigaeae turn completely black). My female laid thirteen eggs last year, and this year she appears to have fourteen follicles in her. The trait is a simple Mendelian recessive trait, so all my fourteen offspring will be black-and-whites! The male is the smaller one with the dirty tricolor pattern. One of my favorite localities is one that Rick Staub established years ago. This is a pair of Tuolumne Co. snakes. Instead of having white rings, my male has full yellow bands; the female's bands are a cream-yellow, so their offspring should continue this trend. 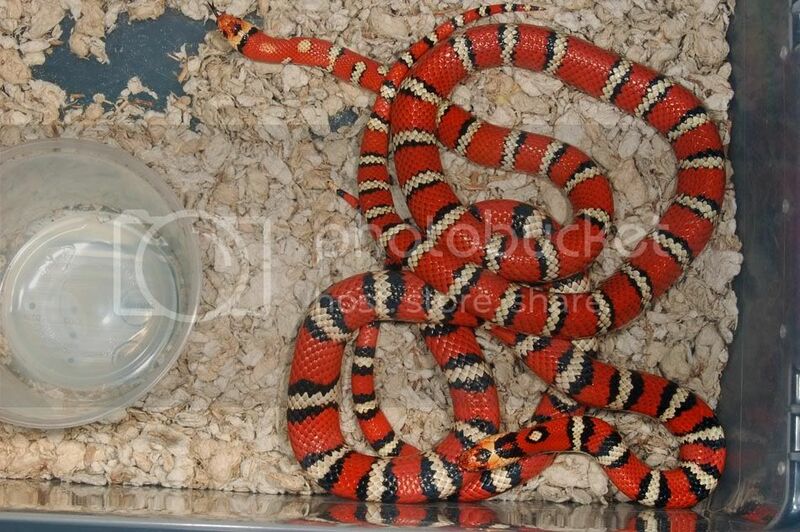 Both snakes are stunning and are exactly what I think of when I think of a classic Sierra animal. Here's a small pair of Mt. Saint Helena mountain kings. The female is the fatty with the perfect pattern. The male is highly aggressive during courtship, always biting and holding onto the female. The rest of the pairings I'll share here will be coast animals. Coast snakes are by far my favorite subspecies of zonata, eclipsing the beauty of Baja snakes...in my opinion! This is a classic pair of San Mateo Co. zonata. This population of San Mateo snakes differs greatly from their southernly Santa Cruz Co. brothers and sisters. San Mateo's typically have deeper reds, thicker black rings, and snouts with little-to-no color or mottling. Also, the triad counts of San Mateo snakes tend to be in the mid-twenties. The babies from these should be stunning little gems! One of my favorite localities can be found in the Santa Cruz mountains. Here's a pair of first-year breeders. The female has six follicles and appears quite gravid. I love the perfect pinbanding! 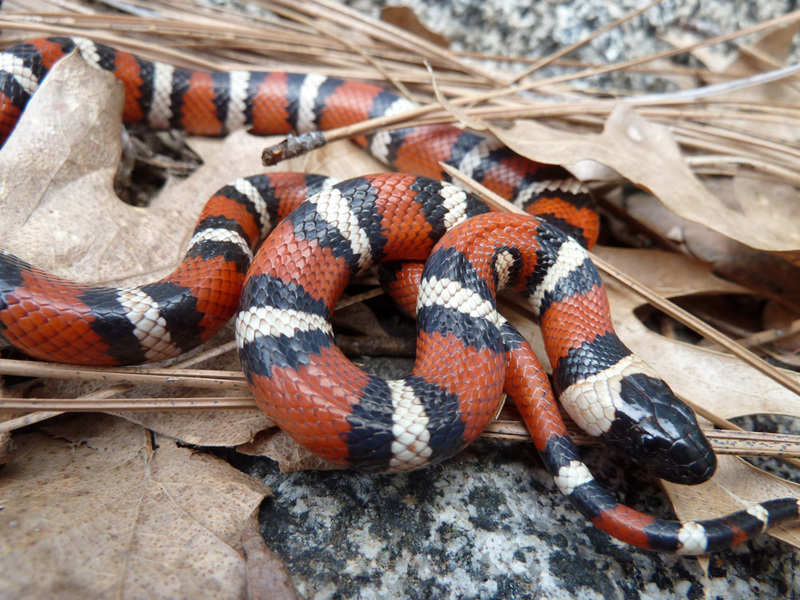 Most coast animals found in herpetoculurists collections originate from the Santa Cruz mountains. This pair, however, is from Santa Barbara Co.. They're a large, robust pairing. Last year the female double-clutched and she absolutely has the weight on her to do it again! The next two pairings are from my favorite coast locality. There's a gene in this population that leaves the ventral surfaces devoid of pattern and solid white, and the majority of the snout and head a white or apricot color. I'm still not sure whether the gene is dominant or recessive, but from the five pairings I'm doing this year I will know for sure! This pair is simply stunning. Both whiteheads, the female is the big one with the crazy-cool head pattern! She also has eight eggs. The female in this pairing was my favorite for many years. Three years ago she became eggbound and required surgery. She has since recovered wonderfully and has no problems producing fertile clutches; she's the one with the least amount of black. While the two pairings above are from my favorite locale, these next two pairings are the ones I'm most looking forward to this year. The expression of the whitehead gene in this population (yes, the second distinct whitehead population with that gene - there was no crossing of lines) is much greater than the previous population's. 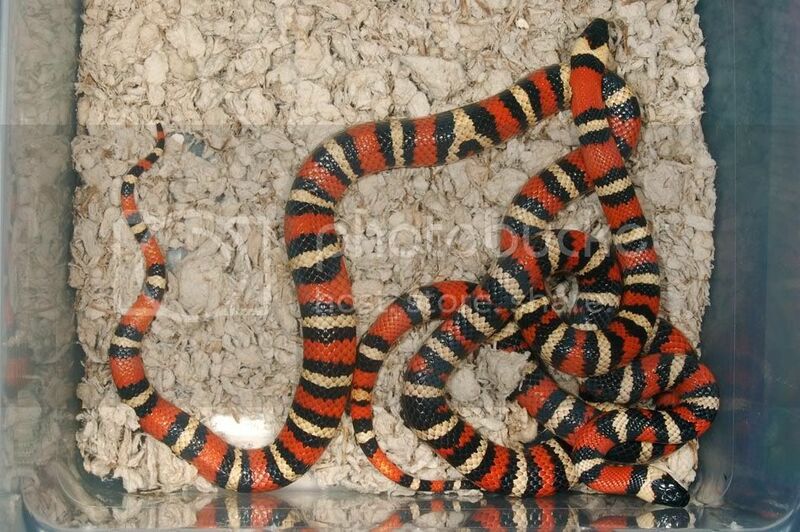 The males in both of the next two pairings are the bright snakes with little-to-no black banding. Also, their red rings are instead an orange with severe fading in their centers. I love these pairs. The female in this pair has nine eggs. The male in this pairing is the most stunning coast animal I've ever produced or seen. The female he has been bred to has ten eggs right now and is fat as a sausage!! The following four females are females that will be paired with males as soon as they have follicles. The first three are from my first whitehead population and will produce simply stunning hatchlings. This last female is from Ventura Co.. It's a really unique locality that is pretty much absent in the hobby today. She produced four hatchlings for me last year and should make at least that if not more this year. Not pictured are several other females that will go this year as well. All-in-all it should be a pretty productive year! It should be obvious that from this many pairings I'll have a LOT of babies. I'm expecting over 100 babies. My permit only allows me and my wife to have a cumulative total of 60 captive-bred individuals. We'll hold back a few I'm sure, but in the end we'll have a buttload of hatchlings to find homes for. The kicker here is that, because these animals are a non-commercial species, whichever animals we choose not to hold back, well, they need to be gifted out to good homes! That's right, these hatchlings CANNOT be sold, traded, or used as barter...period! That means we have one option, and it's one I love to do - we GIFT OUT all our remaining hatchlings. Yes, they will be FREE. This is not a prank, or a joke. We're afforded the opportunity to work with a wonderful species, but we must abide by the State's rules. And honestly, I love to give these things away. I find most people truly love being gifted something that they either could never find in it's natural habitat, or couldn't afford because they are too darn expensive (this only applies to people outside of CA). Also, as long as we have our breeding stock this will be an annual occurrence. I find it repulsive that people get reamed financially if they want to work with some of these populations. Furthermore, many people too anxious to find their own animal cause more damage than you could believe to the snakes habitat in the pursuit of these gems in the wild. 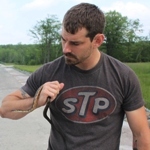 Hopefully by introducing over 100 FREE zonata EACH YEAR it will reduce the market value of these snakes and seriously lessen the impact of bad hunting practices on the habitat of wild populations. That is the most overwhelming set of tri-colors I've ever seen ...mind numbingly clean patterns and sharp color. I would be interested in taking one or two. Sweet collection Mitch and I think the gifting of z's could very well reduce pressure on wild populations. I too should have some hatchlings this year that will be the result of gifted zonata. I will be gifting my hatchlings from these pairings as well, trying to give back what has been given to me. Good on ya mate!! SUCH a cool idea. Thanks, Mitch, for your vision. Since there is no wait list, I'll try to keep an eye on this forum. Might be a cool educational animal for my biology and genetics students here at Ole Miss. I wonder if they'd make a good vivarium subject? I've read that agalma's do. 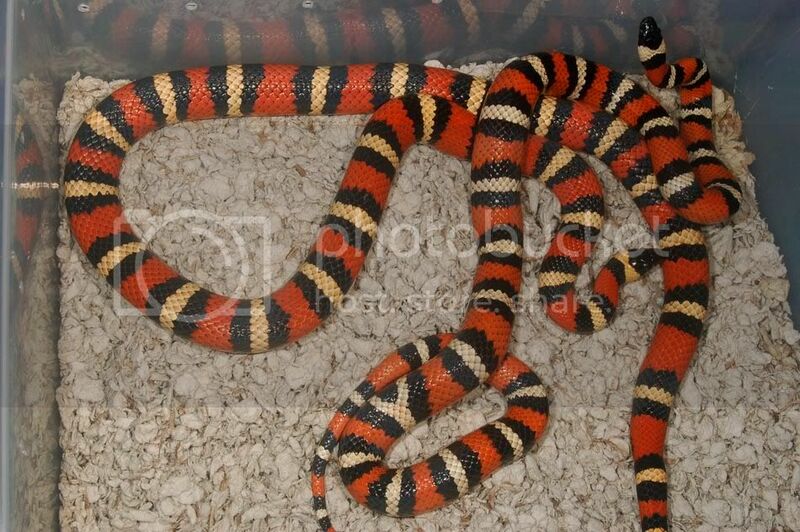 Looking to put some vivaria with small snake species in my office. can't stay away from snakes huh Dusty? Those are seriously amazing. While I doubt I'll want some (I'm sort of full up at the moment) those are insane animals, and props to you for working with them even if you can't get any monetary compensation. 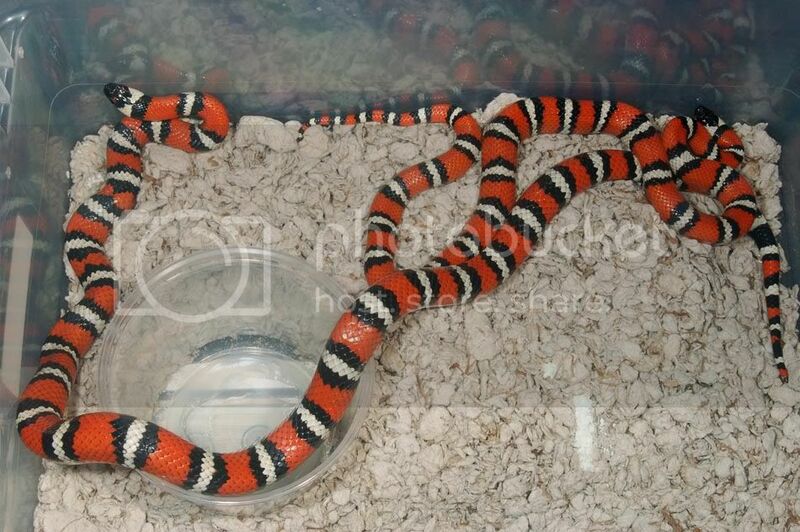 I don't mind keeping my small group (20 or so) snakes without it but keeping a big group has to get expensive. Nice animals, some of the latter girls are gorgous. First of all, AWESOME collection and gifting plans! Would someone receiving a pair need a permit for them? I know the wc limit is 1, but don't know what the laws are regarding cb's. As you may or may not know, I'm the Ca. Ed. Coordinator, probably mostly because I've been doing free Local Reptile talks every summer for over a decade now. I have always had to borrow Zonata for my talks, as I have yet to find one in the Berdoo's or Santa Cruz (the only two places I've tried) I've really only been trying for Z's for 3 yrs now and am determined to figure them out on my own, refusing all help except the most general information. Please do not give me ANY spots... as I will never go there, once they have been even mentioned. I kept this Z as my first (and only) Z I've ever found but am extremely embarrassed to admit it escaped several days later... I'm hoping it will show up this spring... I also plan on returning to where we found it fairly often this year (for boas) and you're welcome to ride along, should you be interested. While I have little experiance with keeping Z's, I have many friends (Teel, Meadows, Montoya, ect) who can help me, and I would love to have a cb pair or even 1, to use for my talks. PS... My son (a herper) lives in Bolder Creek (with mom) and I take his brothers/sisters up there several times a year to visit their mom. Jim... I think for CA residents the legal would still be one individual, even though they are captive bred. Unless you get a non-commercial propagation permit, that is. Very cool stuff. I'm not going to be asking for any of the babies, but I would definitely love to see photos of them when they hatch. Way cool, Mitch! Your enthusiasm for the animals and all-around efforts toward conservation are awe-inspiring. What an amazingly altruistic idea you've got here, buddy! It's good for everyone, snakes included! It's breeding season at my place, too. I meant to call you back this weekend, but things didn't work out in favor of that. This is so awesome of you to do, and I hope that you are right that it has a great impact on lowering market value and decreasing pressure on wild localities. I will be interested in a gift when the time comes, but no big deal if I miss out this year. I will have a few to give away also. Nothing like those bright orange coastal bombs that Mitch has, but some nice animals mainly from the central Sierras. Just wanted to note one other thing before anyone reading this thread comes to the conclusion that zonata pops are somehow imperiled by legal sport take. Mitch and I have been discussing this for a couple years now but this was not under some illusion that wild pops were suffering and needed rescuing. As he stated in the opening post, our main concern is for impacts to the habitat. Anyone who has been on these forums for any length of time has read my repeated posts about collection practices and rock damage. Unfortunately there are many novices and plenty who just do not care. If we can limit the number of people who go to the wild for their zonata fix then just maybe we will start to see fewer and fewer misplaced rocks. We thought 500-700 high quality CB zonata dumped on the market over the next 5 years should do the trick. Thanks for the compliments regarding our critters. It's a sad day when you realize your snakes are better looking than yourself....but I'll take it! Anyhow, I wanted to thank Rick for adding that important bit of information regarding both of our stance on the pressures of field collecting. In no way am I trying to suggest that wild populations are in peril, but rather, just as Rick stated, the habitat is my main concern. 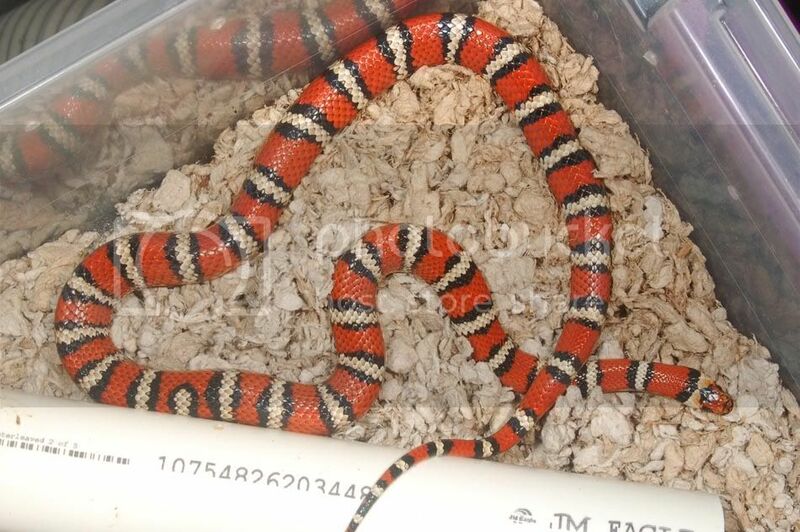 While some believe that saturating the market with captive offspring will not have any effect on the collecting practices of others, I simply ask you to consider the current commercial market for wild-caught CA kings, gopher snakes, and rosy boas. These are the three species that were once highly sought after and collected in high numbers, now only to be found in abundance as captive-bred, low priced offspring in the commercial market. Generally the only people who actively search for these species are enthusiasts who'd like to find a specimen in the wild. Many of those people may keep their first find, but even then that may be it. For the most part there is no commercial benefit to hunt these species. Well, that's my goal with zonata - saturate the market until the commercial benefit is so low that the only people who are searching for them will be the enthusiast (who I'd guess would have a bit more respect for both the animal and it's habitat). 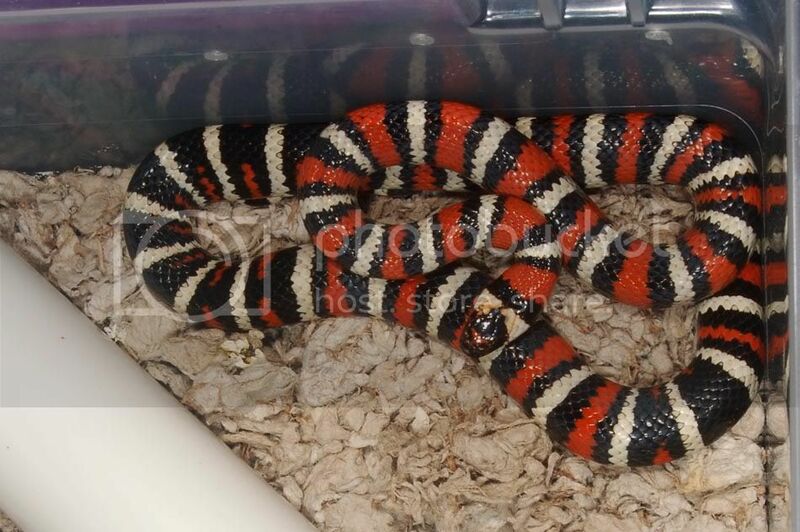 Monklet - Nice collection you have there, especially that calico black ratsnake. Are they as stunning in person as they are in photos? 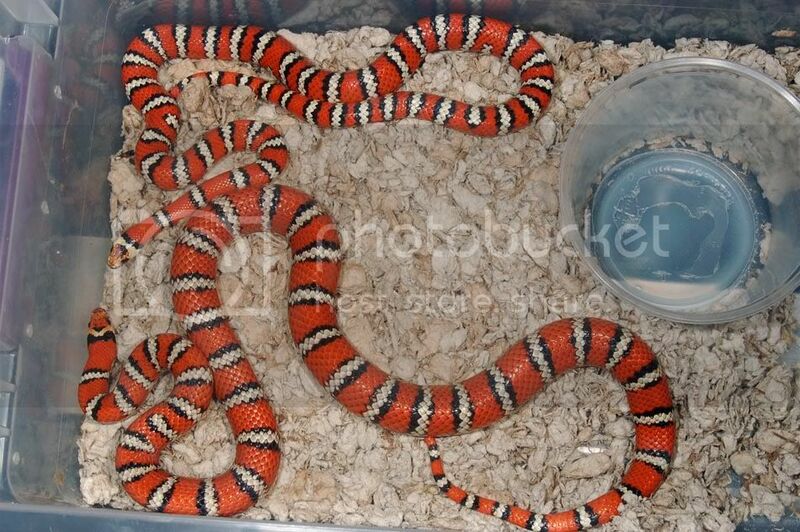 As for gifted snakes, I can only gift one per person. I have to adhere to the legal limit any individual is guaranteed under CA law. 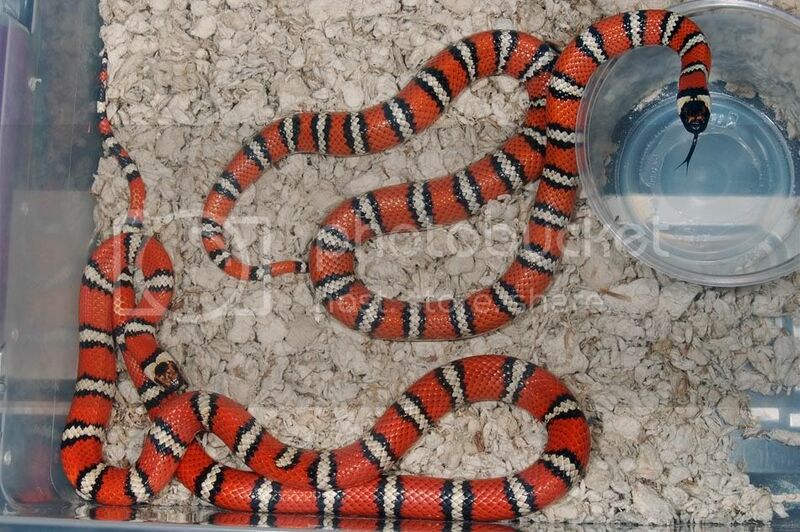 However, if there are multiple people living in your household then they can each be gifted a snake too. 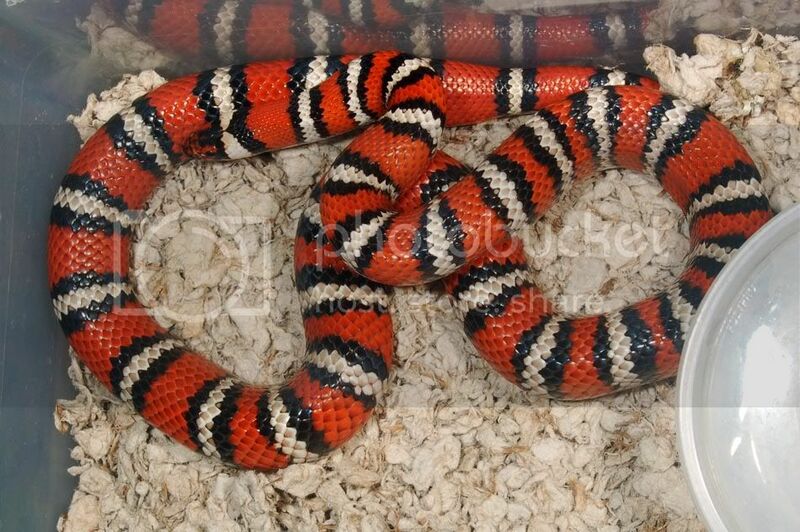 I can't make promises but I'll do my best to gift snakes to whomever I think won't let the animal enter the commercial pet trade. So, if you fit the bill then you're in good shape! Dusty - Great to hear from you! I'd love to be able to help you out with an animal for your students at Ole Miss. I'll be in touch as hatchlings are emerging. Btw, both of my mustard subocs are nearing four feet each along with my bleached male and axanthic female. I'm really looking forward to breeding them all later this year. Paul - The only expenses I really ever feel are when I expand and have to build a new rack system (including flex watt heat stripping and containers) or when I run out of small rodents (i.e., pinkies and fuzzies). Since my wife has put her foot down on me building any more racks, those costs are no longer relevant. And, because I get most of my rodents for free, the costs are minimal. Jim - Natalie is correct, you are only legally allowed one animal per person unless you apply for a non-commercial breeding permit with CDF&G. It's the same permit as the commercial one, you just designate whether the species you list is commercial or non-commercial. If you currently keep no zonata I'd love to be able to help you out, but if you are at your legal limit then I'd recommend applying for the non-commercial permit, and at that point I could consider sending one your way. Natalie - Two years ago I made a post of all 127 of my hatchlings, so don't worry, I'll make a post this year of all my hatchlings as well! Cole - Thanks man! I'll talk to you soon. Andy - Like i've told the others, I'll do my very best to help you acquire a gifted baby this year. Nice follow ups Rick and Mitch, I too was on the understanding that the pressure isn't on the snakes themselves so much as the rock piles they love, because even a well intentioned herper can do long term damage in certain habitats. Mitch, no worries on it, if I get one great, but I am probably buying a house this year and have several animals to move as it is, so I will see if the hatching, the availability of an animal I would be interested in, and me moving all fall together in the same set of time and luck. You are doing an awesome thing and should not worry about accommodating any of our needs. I also want to make it clear to everyone that not all the hatchlings will be eating on their own. As a CA resident I have 40 days to gift any animals that will put me over my limit. Those are the rules I have to follow that have been set down by Fish & Game. HOWEVER, there are a myriad of ways to not only sustain the health of a non-eater hatchling zonata, but to also have them grow. You can tail the snake, tube-feed it baby food (my personal favorite), etc., but sooner or later it will eat for you. Last year I hatched out over forty zonata...and didn't lose a single one. Some took time, some ate right away, either way, you can always get an animal to eat. So, I just wanted to let you all know that as much as I would love to get these things to you chowing like none other, I have a certain set of rules I have to follow because of the permit I'm privileged to have (well, as privileged as all CA residents are!) and I will follow them to the letter. If you need any advice on getting a non-feeder to eat, I'll be more than happy to divulge all the tricks I have! Does a syringe come with every baby? Curious. I agree wholeheartedly with your philosophy and goals. I never envisioned someone doing what you're doing. It's brilliant! And your zonata collections are amazing! In my younger days I made numerous trips to the local mountains in hopes of finding a zonata. I turned over every log I could find without success. I probably didn't replace every log properly, and I know I disturbed non-target species like ensatinas along the way. I eventually gave up, thinking that zonatas were just locally depleted. I now know that I should have focused more on rocks and rocky areas, but my point is that I was one of those enthusiasts out there disturbing the habitat looking for that one zonata. So I will attest that your idea has merit and can make a difference. Joining NAFHA and regularly reading the FHF has greatly enhanced my herping knowledge as well as my sensitivity to habitat destruction. Still never encountered a wild zonata though. 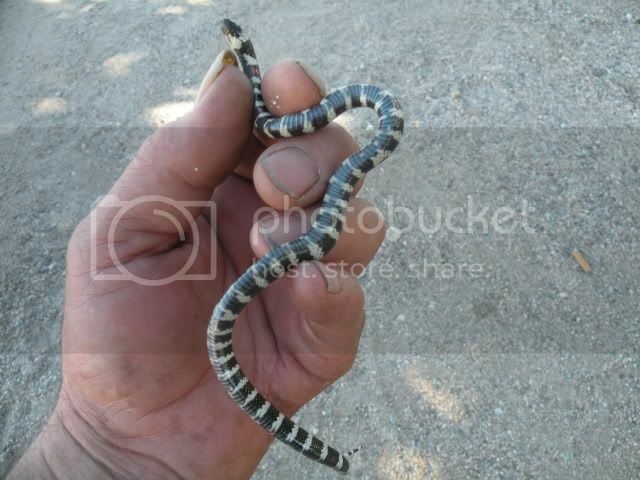 My wife and I maintain a collection of small reptiles (currently 5 snakes, 4 lizards, 1 tortoise) and could probably adopt one or two of your snakes if available. I'll keep an eye out for more info later this year. Best of luck during hatching season! That's hilarious!!! I tell everyone that for the first five years or so during my attempts to find zonata Stebbins was to blame! His field guide said they inhabited "cool, moist canyons". I was always looking in redwood canyons in the dark, under logs! Hahaha. I disturbed my fair share of Ensatina too. I have to say though that is sounds like you're not the type of person I'm worried about. I worry about the person that flips a 400-pound granite cap rock off a pile in an attempt to catch the zonata that they saw, but is now down in the center of the pile; meanwhile the granite cap rock is 40 feet down the hill and the crack that took thousands of years to create via the expansion of ice formation and the retraction of ice melt is ruined forever. Those are the people who I worry about because I've seen that very damage; it's real and its pervasive in well-known areas. Most people don't conduct this behavior, but all it takes is a small number of them and a site can be trashed for a very long time. Hell, the snakes will be fine, but some of the prime habitat is erased. I'll be in touch when hatchlings arise. Mitch - Glad you got a laugh from my story. I primarily relied on the Audubon Society reptile field guide my Dad gave me when I was about 15. I recall it said they live under logs. I've been paying more attention than ever to rock piles and outcroppings this year, trying to determine which rocks broke apart naturally and which were moved by people. So far it seems that every accessible rockpile I visit, and many of the hard-to-reach ones, has been damaged by people. It's hard to believe how far out of the way some people went. I'm no expert on rock aging, but I would guess that much of the damage in San Diego county was done decades ago. Haven't seen much evidence of recent destruction though, probably because so few movable rocks remain within reach. Don't get me wrong, I think there's nothing bad about gifting snakes (although a bit unusual after all the work and expenses, but each to their own). And ultimately some, perhaps many, of these un-reared babies will meet their demise as I've never known a neonate zonata to be interested in a baby-food-scented pinky after they've been pumped with the stuff for months. Starvation and supplements, most of the time, do not work. Scenting is very, very KEY. But again, each to their own. However, in the grand scheme of things, I'm not quite sure altruism is entirely the intended rationale. what ulterior motives do you think they're holding? Mitchelle was open about hoping to reduce the commercial value and reduce collecting pressure. That's a good question. It's a question that doesn't have a secret answer. I've disclosed to all why myself, Rick Staub, and several others are gifting zonata. I've been gifting zonata since 2004 - with now over 450 gifted zonata. Finally though I have the ability and resources to really introduce a large number of animals into the field of captive propagation, all as gifts. There are no catches and it really is that simple. 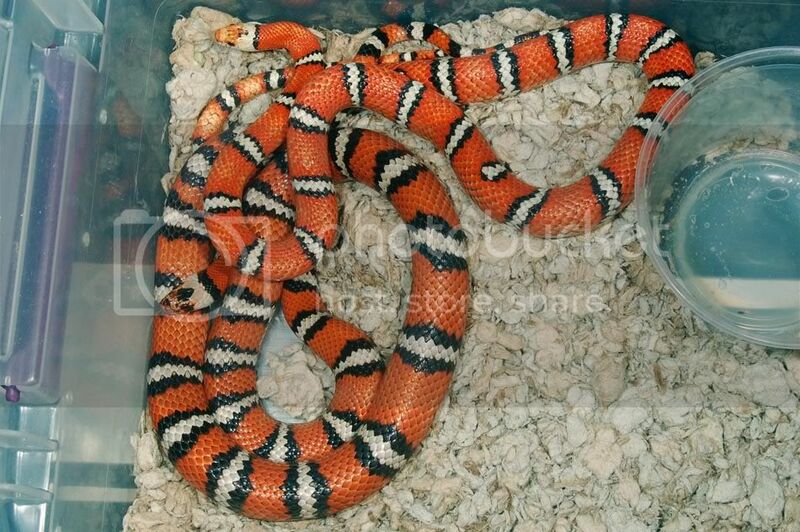 I know that I have no desire to go and remove a corn snake from the wild if I want to work with one because there are literally thousands available that have been captive produced. Captive-produced animals are hardier, free of parasites (if the colony they were produced in is free of them), and generally more attractive than their wild counterparts. If my continual introduction of gifted captive zonata into the market reduces the desire of others to go out into the habitat and cause damage, then in my mind it's been a successful venture. I'd like to think that the majority of people who find their ways out into the field are responsible and considerate of the animal's habitat, but unfortunately I've seen too much damage over the years to not be a little jaded. Well Paul, I hope that clarifies things for you, as I don't think I can make my intentions and the reasons for my actions any clearer. Take care! , not trying to insinuate anything about ya'll. You're intentions weren't misunderstood at all, and I read no insinuations on your part. This project has been underway for more than half a decade now, but now with the involvement of other zonata enthusiasts we can realistically make some really constructive headway towards devaluing zonata commercially, a goal that will ultimately lead to a dramatic decrease in habitat destruction. I believe Rick has some excellent photographs he took back in 1999 of some severe rock damage done to a well-known Sierra locale. Maybe Rick will post those photos so everyone who has any emotional attachment to this species can see what the few of us are trying to stop. Rick and I have shared this idea for a long while that a mass introduction of captive-hatched zonata will radically reduce the number of people who search these animals out strictly for monetary gain. Only recently has Paul expressed that he too shares the same thoughts on the matter as Rick and I, so I have welcomed his involvement as well. We are doing a "Herp Nation LIVE" with Mitch (and Rick, maybe, if we can coordinate the times) about this concept. I'll make an announcement on The Forum when we are going to air. The rock damage is really disconcerting. Just plain ugly and foolish. I do not know how successful we will be at reducing attempts to collect this species and consequently rock damage from the novices and unethical. I guess that will depend on the demand in the end. 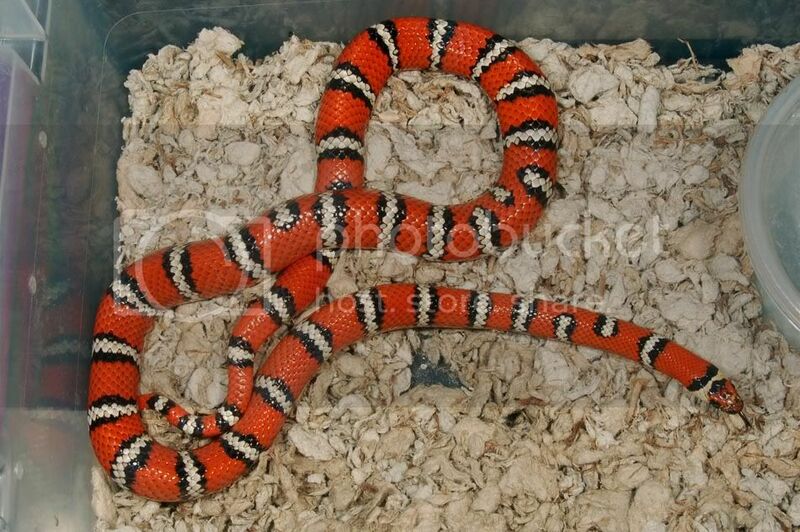 But considering the history of captive breeding herps, this has a chance to snowball since within a couple years those who have been and will be given babies will start producing babies of their own which might create an exponential growth curve for the production and hopefully surplus of zonata. Zonata are fairly aggressive feeders. Getula they are not but much better than grey bands and light years better than pyros. This is really not an issue though as info on how to get lizard eaters to feed on mice in captivity has been around for 2 decades. Click, click, click oh yeah that will work! Past that it is just time. All the new mountain king enthusiasts who have joined the hobby in the past few years were all novices in the near past also. They learned the same way. I have kept zonata for over 20 years and I certainly did not invent any of the feeding techniques that I use. They were started by breeders before me who kept greeri, alterna, and pyros. Scott -- I am out of town until next week so give Mitch the spot light. If he is that bad we can re-shoot on Sun afternoon. Some babies I gifted last year. What a great looking assortment of zonata. I have worked with them on and off over the past 50 years but I don't think I have ever seen such a large and varied assortment as those you have posted. I think you may be on to something by gifting out large numbers of them to responsible people who will not allow them or their off-spring to end up in the commercial market. It may take 4 or 5 years but I think a project such as your's could potentially greatly reduce the commercial demand for this species and ultimately reduce the damage that is being done to habitat by "some" of those who search for them. I don't think that the habitat damage is being caused by the majority of recreational herpers but rather by illegal/questionable commercial interests. I'll continue to monitor this thread, when you have off-spring available my wife and I would be interested in adopting one or perhaps a pair of them. I didn't realize this kind of idea was taking place. You guys are truly an inspiration. I've never bred a thing, and can't say I would ever be able to do what you guys are doing. I have 8 snakes, and really they are just pets for my kids and something to show off to their friends and teach others that snakes aren't what they think. I'll hit ya's back up when I see some hatching happening, but am definitely interested. I'll even take the ugliest one you have. I'd love to simply show it to people and share your story and vision. Either way, kudos to you guys! Although, it isn't like z's are expensive right now; what do they sell for, 100 bucks? Paul brings up an important point.......where is the "market" for c.b., anyway? It is very narrow, unless you're talking about agalma. There are some awesome lines of agalma out there that seem to dominate the "z market". And they should! Some of those are outrageous looking! If there is poaching going on, well it doesn't seem to serve any serious market purpose given how when they are made available legally they don't have any higher market value than say an average pyro. I can't remember the last time I noticed legal c.b.b. zonata offered. I don't peruse classifieds heavily though, so maybe I'm not accurate in my perception of the market. Giving away legally produced zonata is basically the only way for that species to survive in a captive environment. At least that's what appears to be the case, anyway. What is that crap, anyway? Has anybody figured that one out yet? Scott Waters wrote: Paul brings up an important point.......where is the "market" for c.b., anyway? It is very narrow, unless you're talking about agalma. There are some awesome lines of agalma out there that seem to dominate the "z market". And they should! Some of those are outrageous looking! 100 bucks? I WISH that is all I had paid for most of my cb zonata. Maybe I was stupid to do so, but I am not the only one. 250 a piece is more like it, on average. (not including agalma). I know when one large breeder was getting rid of his collection that his z's sold off REAL fast and they all went for 250 or so. That is where several pairs that I have came from, and his phone was ringing off the hook while I was talking to him! Paul, if prices get to 100 on average due to the market being saturated then it was/is a success IMO. Wish it happened before I spent all that money!! LOL. All jokes aside, I have no problem with folks trying to recoop some money that they put out for expenses when it comes to animals. However, I think the prices today are too high and this "project" could help reduce the average cost, and therefore reduce demand and damage to habitat. Scott Waters wrote: We are doing a "Herp Nation LIVE" with Mitch (and Rick, maybe, if we can coordinate the times) about this concept. I'll make an announcement on The Forum when we are going to air. 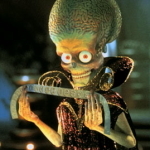 I know someone who is responsible for a Science Learning Center. Perhaps he may be interested in one for educational display. If their is a serious possibility of obtaining one let me know. I second Paul's sentiment that it shouldn't be an issue finding a snake for you considering how you're going to use it. If my hatchlings can be used to educate future herpers, well then that's incredible! ALSO, Rick Staub and myself just finished filming the video short that Scott is putting together regarding the captive non-commercial propagation of zonata discussed in this thread. It should be really cool. Look for it over the next few weeks!!!! 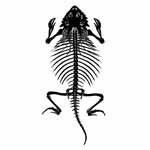 Link to the Herp Nation LIVE segment. Awesome discussion, great images, video, and of course......people. Very well done video. Excellent discussion. Thanks guys for taking the time and effort to produce that and share it with us. Look forward to A LOT more of that level of discussion and content. Thanks for checking it out. We don't do gimmicks, we do content. Just saw the video...very cool (once again - kudos everyone). I have a question regarding us "out of staters". 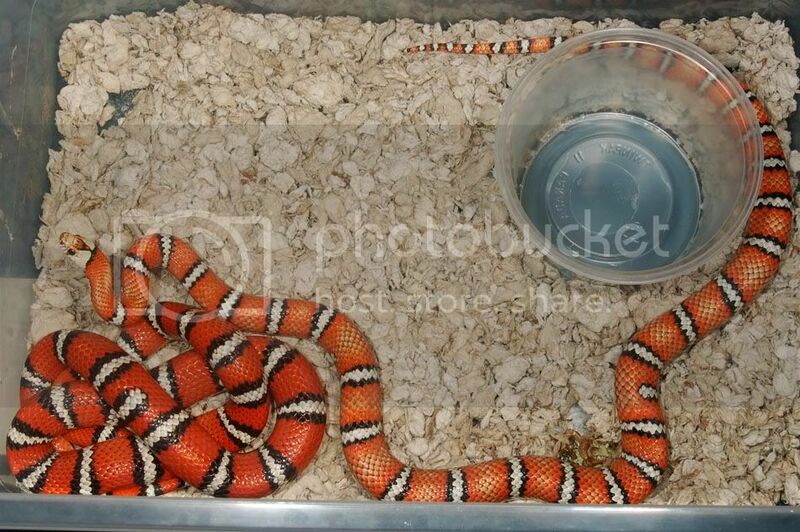 If we were to be gifted a snake (or two - one for my wife) how is shipping dealt with? I would imagine we would pay prior to shipping, do you have a system for shipping or do we have to come to you to get the critters? Great idea, and fantastic-looking zonata all around. It IS strange that so few Zs are seen on the national market, considering their attractiveness. As a herpetoculturist by profession, I certainly see nothing wrong with the idea, especially considering the legal situation in CA, and the extensive habitat damage there. This kind of environmental degradation by snake collectors gives us all a black eye, at a time when such is the last thing we need! Even more interesting to me will be finding out what effect, if any, introducing such a large number of free offspring will have on the overall national market. Hey Mitch it's Rory West! I just noticed this thread, and I gotta say I love everything about it Cool video as well, it's pretty neat seeing a video of the snakes I helped care for (for a little bit at least). Some of those snakes I don't think I have ever seen though, I'm guessing not all the ones in the pictures stayed at the lab? Anyways, I just wanna say that I think it's really awesome what you are doing with this species, and thanks for imparting some of your knowledge on me and letting me be involved with your snakes in Santa Cruz. I will be back up that way sometime pretty soon, i'll be sure to send you a message and hopefully we could get a day of herping in! I love the idea of gifting these. I for one have gifted offspring before to friends and family. It feels much better to give than to try and sell them to people that might not even take good care. Question : will those be gifted only to California resident? I'd love to own Zonata. They are definately one of the most beautiful tri-colors out there. Biker Dave wrote: Just saw the video...very cool (once again - kudos everyone). I have a question regarding us "out of staters". For animals I have gifted in the past, I just ask for a refund of shipping fees. Unfortunately with fuel prices so high, overnight shipping can get pricey and I am not footing that bill. It cost me $98 yesterday to ship overnight to Minnesota. Ouch. Definitely less expensive than forcing you to come and get them though. The goal is not to only give them away locally. The idea is to place as many zonata as we can into the market but we will need some help, so if anything we will have a bias towards those who will breed the crap out of them and add to the market availability. This is such a great idea! I've been interested in getting a zonata but since I live in CA I always thought my only option was to collect a wild one (which I don't want to do), its good to know that there's the ability to be gifted one by someone doing stuff like this. This is also great if it helps reduce even a little bit of the habitat damage- the wildlife biologists at the national forest by me frown upon field herpers mostly because they only associate us with heavily damaged habitat like the pictures that have been posted. For those of us in CA-I assume in order to breed zonata as was mentioned in this thread you must either have a noncommercial permit or else you would have to do a loan type thing with someone else? (with the resulting offspring gifted away before 90 days)? Joseph S. wrote: For those of us in CA-I assume in order to breed zonata as was mentioned in this thread you must either have a noncommercial permit or else you would have to do a loan type thing with someone else? (with the resulting offspring gifted away before 90 days)? Every member of a household is allowed one zonata, or you can breeding loan one if you live alone and do not want to get a permit to keep more cb animals. Theoretically it is illegal to breed them without the permit, though accidental breedings do occur. Babies need to be gifted within 45 days. I'm also curious how this would work for people on the East coast interested in taking a few in. I dig this whole idea and wish more people thought like that, it's very interesting and all the feedback is impressive. They are definitely beautiful snakes that you don't see very often around here and I've been trying to get away from the whole exotics thing. The snake room has some space in it still. My bad, apparently I skipped over the shipping costs. With it most likely happening during summer you really don't have the possibility to ship anything but overnight. Would that be a correct assumption?